After inviting offers from cities across the country in a high-profile bidding process, and whittling down the results, Amazon has finally settled on two locations for its new corporate headquarters, according to a report late Monday. Citing sources familiar with the matter, The Wall Street Journal reports Amazon has selected New York City and Northern Virginia as sites of its second and third headquarters. The Kindle-maker is expected to make the news official as early as Tuesday. 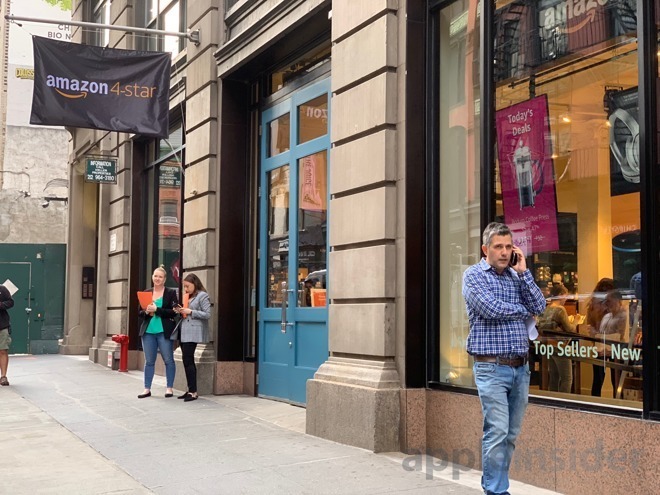 The news arrives after a year-long dog-and-pony show that saw Amazon move from 238 candidates down to 20 before closing in on a handful of finalists in recent weeks. The e-commerce giant was expected to choose a single location for "HQ2," but instead decided to split the campus in order to attract more talent from different locations. Cities from around the country put in their bids in attempts to woo Amazon, offering incentives from tax breaks to literally naming the city after the company. Amazon itself brought many incentives to the table including a $5 billion budget and 50,000 new jobs. Among other factors, Amazon prioritized locations with more than a million people, stable and business-friendly environments, urban or suburban locals with potential to attract talent, and communities that think big creatively. Amazon has been a hot topic in the news recently. Aside from the new campus(es), the company last week struck a deal with Apple to bring iPhones and iPads to its digital shelves in time for the holiday shopping season.